This topic is strictly for XSI 3d modeling resources. Any links to tutorials and tips on 3d modeling in XSI are welcome here. 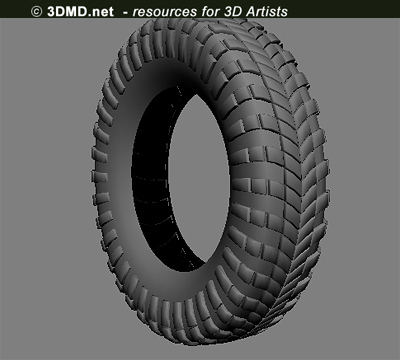 Here is a video tutorial on how to model a truck tire in XSI in less than 5 minutes. Download - divx format 10 mb. Here is another Video Tutorial created by me on how to align objects to polygons. My friends say it's a really useful tutorial. A basic XSI 3D modeling tutorial in which I show how to easily create a cylinder on a cube without using booleans. Thanks for posting this. I just started learning XSI and these will come in handy. Where can I find tutorials (in English) on modeling actually bodies? Here's a link to an free XSI exporter utility group http://www.bzscrap.org/downloads/Utilities/BZ2/3De/ There are several versions hosted. is it easy creating 3D model using XSI?